Your contribution allows Chill Out Jazz to remain on the air. 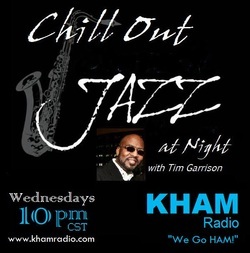 Listen live to Chill Out Jazz with Tim Garrison every Tuesday - Friday 1pm to 3pm cst on FBRN.US in the green bowl. 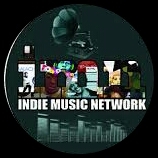 Chill Out Jazz with Tim Garrison has 3 new affiliate stations. We welcome 97.3 KJUK-FM in Hooks, Texas, 88.3 KTHN-FM in Texarkana, Arkansas, 89.9 KKVI-FM in Garland Tx to the COJ family. They're Chillin', are you? Tamia is keepin' it smkoin' with her latest single. Jeffrey Osborne is Releasing His First Self-Produced Soul Album! In 13 Years – WORTH IT ALL. The album features special guests Gerald Albright on saxophone, Rick Braun on trumpet and includes a song entitled “Work It,” co-written by son, Jeffrey Osborne Jr. Check out our conversation as Jeffrey talks about this special project and his very busy 2018 touring schedule. Worth It All will be available now! ​With twenty albums to his credit, Peabo Bryson has enjoyed an unprecedented, across-the-board level of international success, Bryson has the distinction of being the first artist in music history to have separate records topping four different charts.